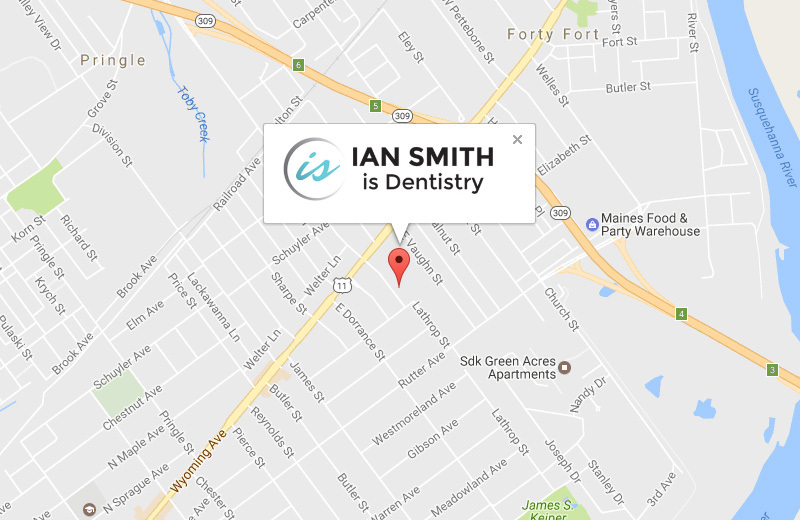 Here at our office, cosmetic dentist Dr. Ian Smith has provided countless Kingston area patients with stunning results. 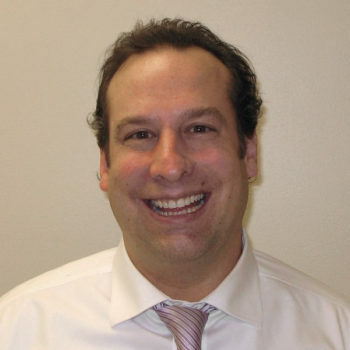 This is all thanks to the experience and knowledge he has accumulated over his long career, the particulars of which you can view on our About Us page. 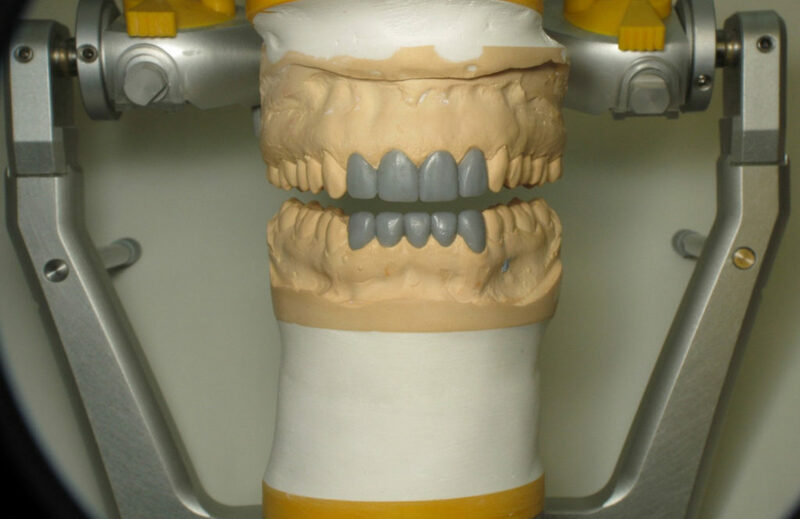 Over the years, we have gathered before and after images of our previous work, which we now invite you to browse below to see the quality of work you can expect when you come to our office. 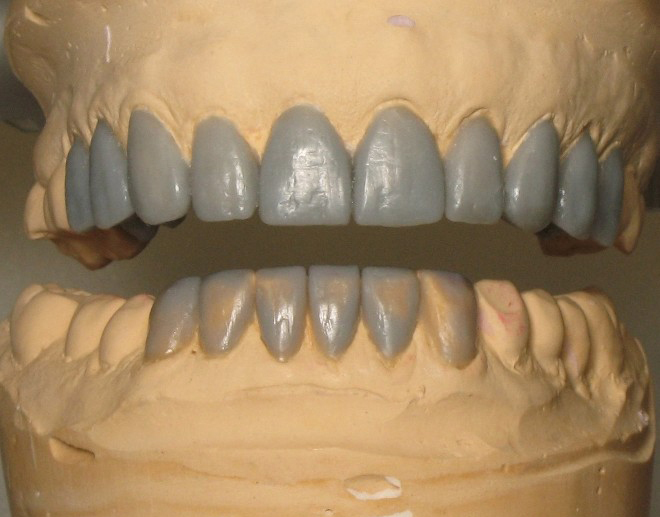 My approach for Ryan was to use diagnostic wax to show him the shapes and symmetry required to even out the proportions of his teeth. 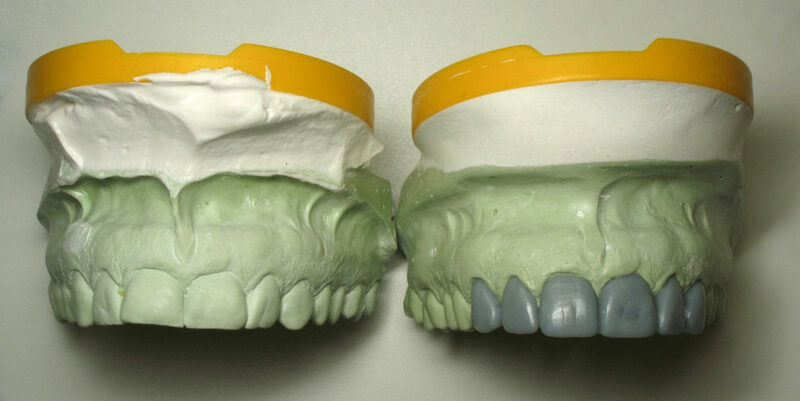 My goal in using Diagnostic wax is to correct the patients concern using the least amount of dentistry possible. 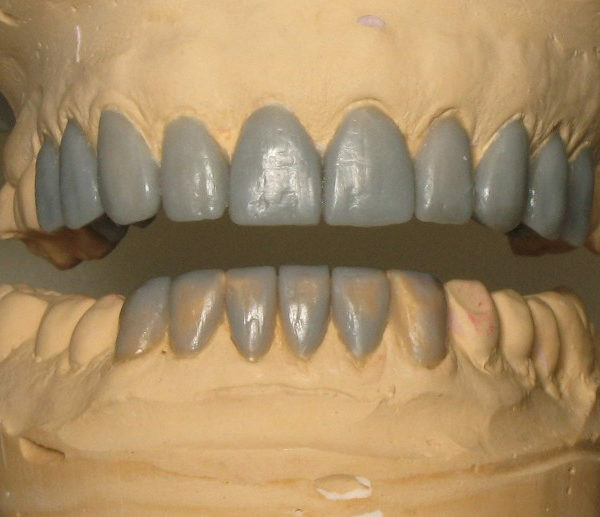 In Ryan’s case only 4 teeth were needed to be altered in order to achieve a great result. 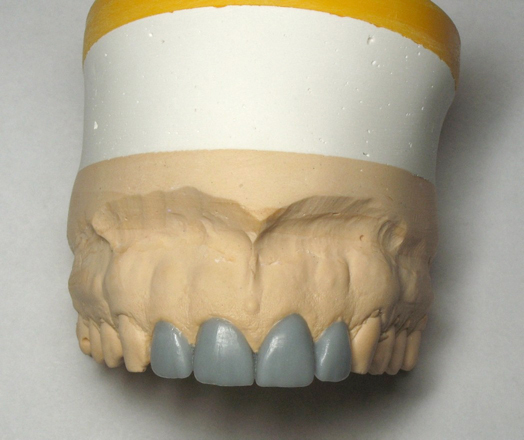 His case was a combination of 3 porcelain crowns and 1 veneer. 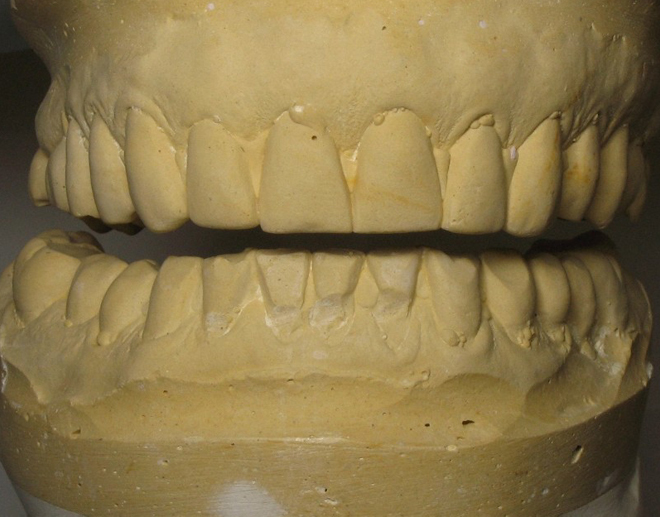 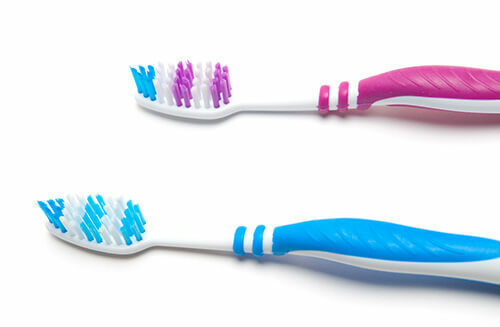 A common aesthetic concern for patients is that with age and use, teeth wear and become shorter in appearance. 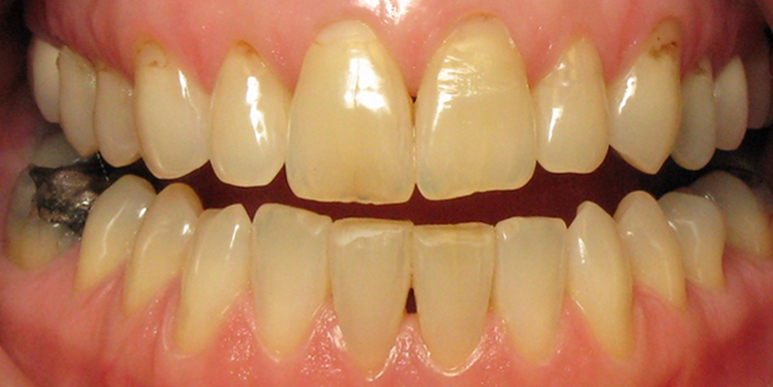 Over time, many people feel their teeth are not visible when speaking. 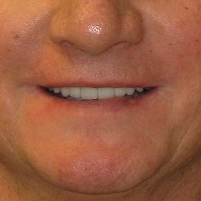 To make matters worse, as we age the upper lip tends to “sag” down making the upper front teeth harder to see. 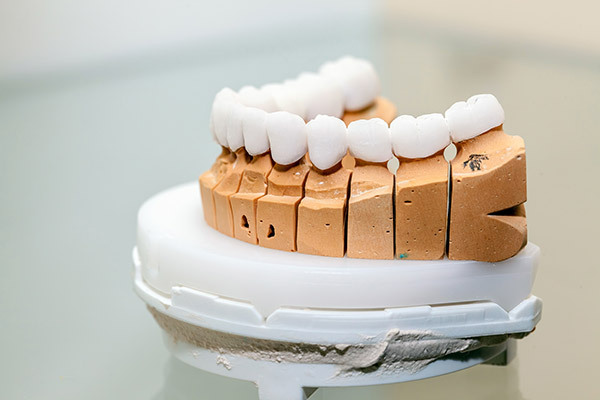 In these situations, diagnostic wax is used to create fuller and longer teeth and then transferred to the patient in temporary crowns. 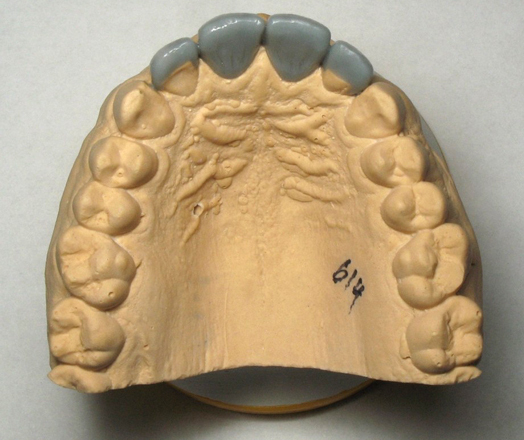 Once we determine we have solved the aesthetic challenge, New porcelain materials are placed to complete the case. 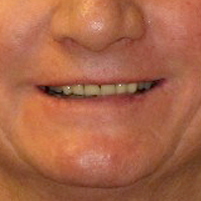 In Jill’s case, her misaligned bite was damaging her teeth. 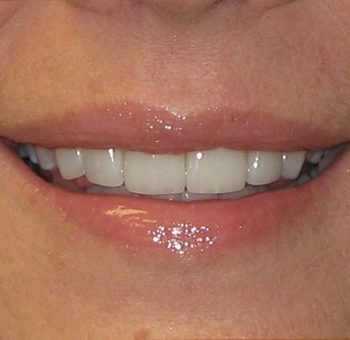 Although I would have been able to create a nice result with restorative crowns and veneers alone, I explained to Jill the proper approach was orthodontics first to better position her teeth, followed by some porcelain veneers. 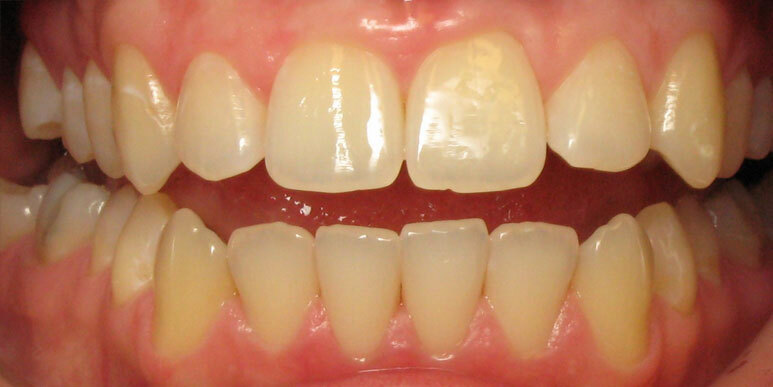 After Jill’s invisalign treatment, Diagnostic wax was used to determine the least amount of dentistry required to correct her concern. 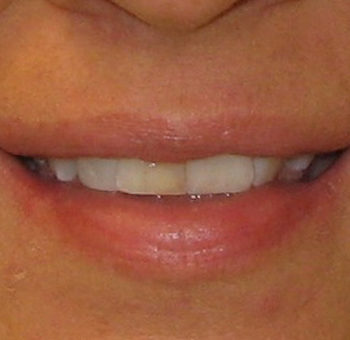 Jill was extremely pleased with her new bite and smile. 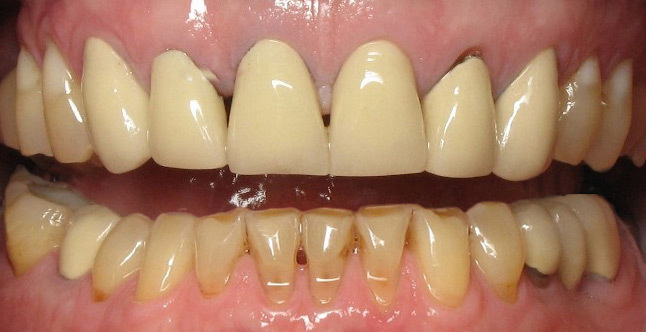 In Ruth’s case, Decay and trauma resulted in the loss of her tooth. 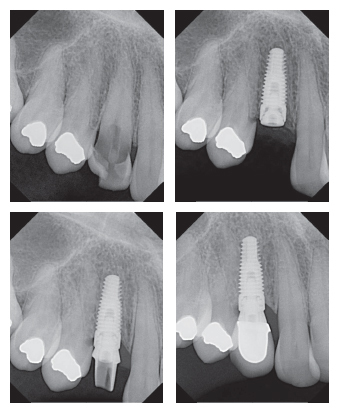 Many times, the best option for single tooth replacement is a dental implant. 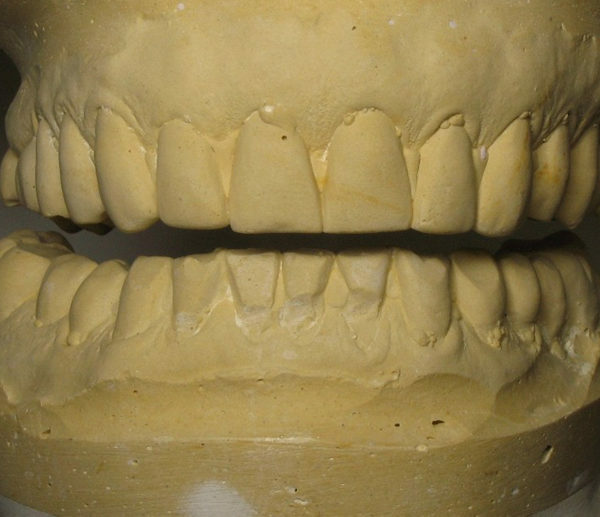 The radiographs depict the sequence of decayed tooth, implanted site, abutment in place, and final crown.